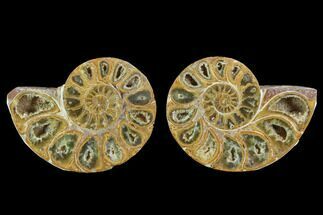 This is a thick, cut and polished, Jurassic aged, ammonite fossil collected in the Tulear Province of Madagascar. 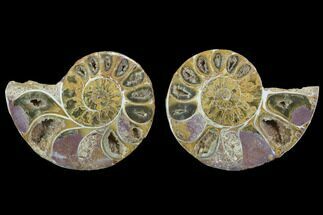 Most of the cut and polished ammonites that you see from Madagascar are Cretaceous in age, but these ones with a orange/yellow/pink coloration are are Late Jurassic (Oxfordian Stage) in age, nearly 50 million years older. 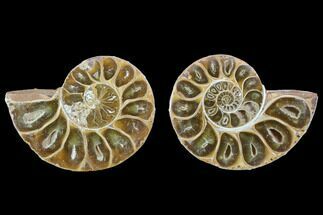 There are a number of species/genus of Phylloceratida ammonites from this location which look very similar, this one appears to be Ptychophylloceras. 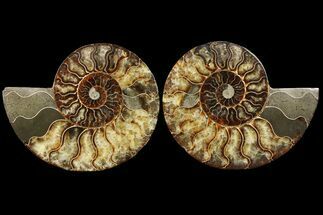 The previously hollow chambers of the ammonite were replaced with a beautiful agate during the fossilization process. Some of these chambers are still partially hollow and lines with druzy crystals. 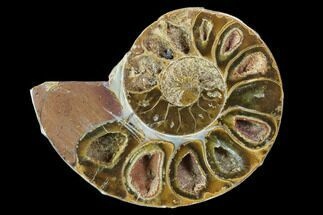 The ammonite was cut in half and polished revealing the inner chamber structure of this ancient, marine animal. Both halves are included and they come with a pair of display stands. 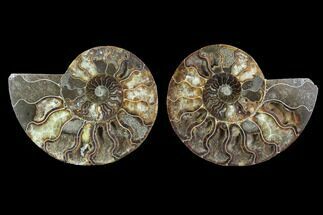 Ammonites were predatory mollusks that resembled a squid with a shell. 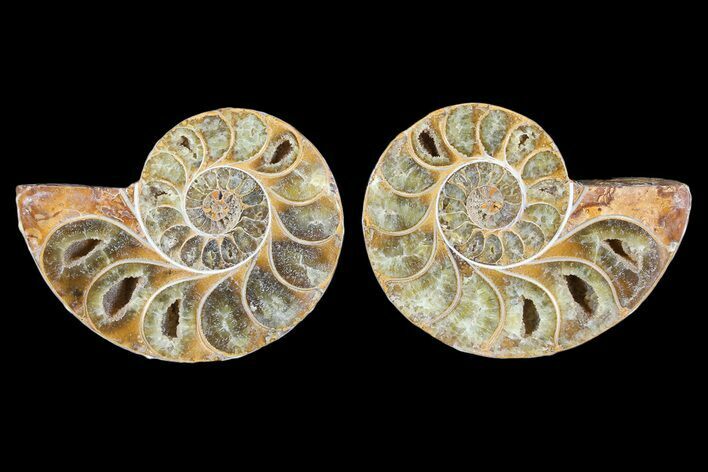 These cephalopods had eyes, tentacles, and spiral shells. 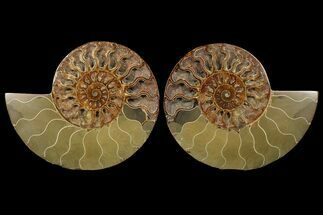 They are more closely related to a living octopus, though the shells resemble that of a nautilus. 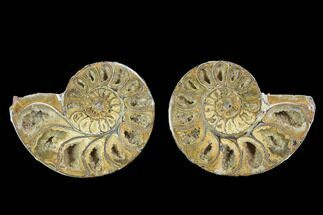 Ammonites appeared in the fossil record about 240 million years ago and they barely survived several major extinction events. 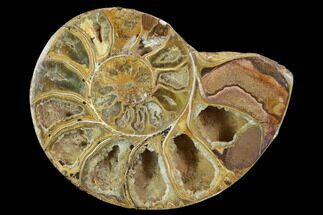 The last lineages disappeared 65 million years ago at the end of the Cretaceous.